A test is defined as the amount (µg) of antibody that will stain a cell sample in a final volume of 100 µL. Cell number should be determined empirically but can range from 10&Hat;5 to 10&Hat;8 cells/test. It is recommended that the antibody be carefully titrated for optimal performance in the assay of interest. This eBioC9B7W (C9B7W) antibody has also been tested by ELISA analysis of supernatant produced from mouse CD223-transfected 3A9 cells. This can be used in ELISA at 2 µg/mL for capture of the secreted form of CD223, together with the polyclonal anti-mouse CD223 (cat. 24-2232) as the detection antibody. Purity: Greater than 90&percnt;, as determined by SDS-PAGE. 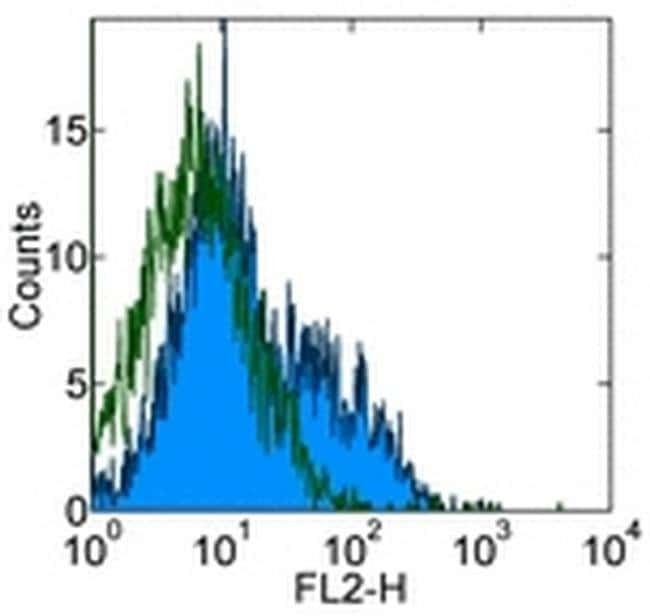 Aggregation: Less than 10&percnt;, as determined by HPLC. Filtration: 0.2 μm post-manufacturing filtered. LAG-3 is a 70-kDa surface glycoprotein belonging to the Ig superfamily with homology to CD4. LAG-3 binds to MHC class II with higher affinity than CD4 and is thought to be involved in the negative regulation of T cell activation and homeostatic proliferation. Surface expression of LAG-3 has been reported on activated T cells (including regulatory T cells) and NK cells. CD8+ T cells usually express LAG-3 at significantly higher levels than CD4+ T cells. Coexpression of LAG-3 and CD49b has been proposed to identify human and mouse Type 1 regulatory T cells (Tr1 cells).